David Wishart was born in Arbroath, Scotland. 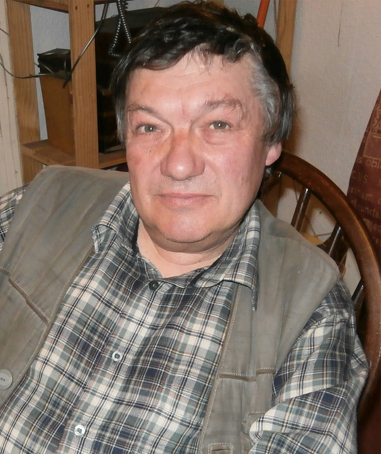 He studied Classics at Edinburgh University and taught Latin and Greek in school for four years before escaping and retraining as a teacher of English as a Foreign Language. Most of his novels share the same protagonist, Marcus Corvinus. 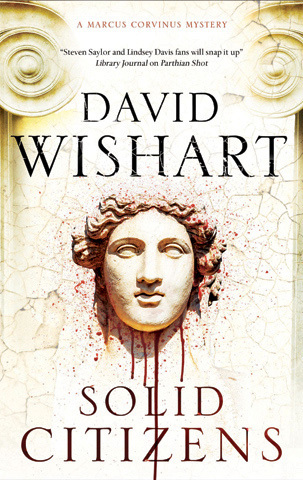 Spurning the conventional career path of a military posting via a civil service post to an elected post and the Senate, Wishart's hero develops a taste for investigating crimes of a particularly sensitive nature, thereby allowing the author to introduce numerous historical figures and to continue to mine a rich seam of Imperial Roman intrigue. Ideas for plots come from various directions. My Corvinus books fall into two broad categories. There are the political ones, like Germanicus and In at the Death, where the crime and/or its solution are based on actual historical events and where most of the characters were real people. Then there are the straightforward whodunnits such as Food for the Fishes and Illegally Dead, where everything is invented from beginning to end. They need completely different approaches where plotting is concerned. Writing the first is a bit like doing a cryptic crossword: you already have all the clues (the historical events), you can’t change them, and you have to use them (all of them, without cheating!) to ‘solve’ the problem. At the same time you are always remembering that, because you are only a writer and have not taken the academic equivalent of the Hippocratic Oath, you can arbitrarily invent and ascribe motive, which a proper historian isn’t allowed to do. Being a Times crossword fanatic, I really enjoy writing these ones. All the books, however, are firmly linked to an external chronological timetable, and there are only so many historical crimes available; hence the whodunnits, which fill in the gaps. Writing them is like making up a cryptic crossword from scratch, and yes, that’s a lot of fun, too. The plots spring from different sources, some obvious (a straight murder, a racing scam), some not so. With Last Rites, I wanted to write a Roman version of a classic ‘closed room’ murder, while Food for the Fishes turned on playing with language. Then there’s the sub-plot, nothing to do with the main one, like the introduction of the dog-from-hell Placida (based, with very little modification, on our own canine slob Annie) in In at the Death, and that of Dassa, the ovine wine expert, in A Vote for Murder. Another bit of pure fun that no one’s expected to take seriously, particularly Classical academics. Solid Citizens falls into the second category: it’s a pure whodunnit. As far as the chronology went, I needed to fill in the space before the next book, which will be a political one and so has to be set in late AD40 (which should give a whopping great clue to the content – although hopefully not to the solution – for any Roman history buffs out there). For the main plot, so long as it was set in AD39 the exact timing didn’t matter. I wanted a story centring on the gap between public image and private reality (very much a hot topic, currently). I thought a small-town setting where everyone knew everyone else – or at least thought they did – with its small-town scams would be better than a city-of-Rome one. Hence I chose Bovillae, in provincial Latium. The victim would be a respectable public figure: a censor-elect, because in the provinces, as in Rome itself, a man didn’t get himself appointed censor, with the power to delete the names of dodgy citizens from the list of local voters, unless he was absolutely squeaky-clean himself in moral terms. At least, that was the theory. Except that my proto-censor would be found battered to death in an alleyway behind the town’s brothel, where, it would transpire, he had been a frequent customer. Not such a ‘solid citizen’ after all, then, and a major embarrassment for the other members of Bovillae’s Great and Good. As far as the sub-plot was concerned…well, that was suggested by the fact that the Roman equivalent of Christmas, the Saturnalia, was a festival primarily for the bought help, just as our Christmas – in its non-religious guise – is for kids. So mid-December it would be, with the fractiousness and childish behaviour transferred accordingly. This, by the way, as I’ve said in the Author’s Note, had an interesting side-effect: because the book was written in the run-up to Christmas 2012 it produced the eerie sensation, at times, of sitting down at my laptop exactly one thousand nine hundred and seventy-three years to the day after the events I was dealing with. Eight months down the line, I can still feel the shiver. Solid Citizens by David Wishart will be available from Severn House Publishers in the UK as of 25th July 2013, and in the US as of 1st November 2013.